Derek is “Your Personal Mortgage Shopper”. 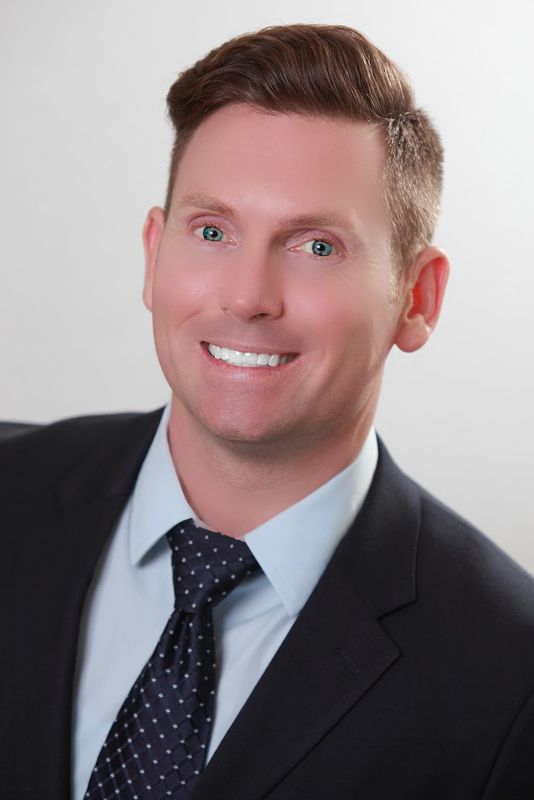 Now in his 17th year in the mortgage industry with over $500,000,000 in funded mortgage loans, Derek McClintock, a Certified Mortgage Planner and Senior Loan Officer with C2 Financial Corporation in San Diego, CA specializes in helping people who need home financing. His objective is to help his clients sort through the multitude of financing options and learn the best way to manage, most likely, the largest debt of their life. As a licensed loan originator, Derek has proven to be a skillful and knowledgeable Certified Mortgage Planner (CMP). His motto is “under promise over deliver,” meaning you won’t be disappointed, but pleasantly surprised. It is VERY important to always keep clients and referral partners updated on the progress of their loan each step of the way. Steady communication is the key to a successful transaction. Derek is born and raised in San Diego, CA. He attended Christian High School in El Cajon where he excelled in soccer and volleyball and then went on to Westmont College in Santa Barbara to play volleyball for two years before transferring back home and finishing college at San Diego State University with a Marketing degree. He has always been interested in the mortgage industry, as he clearly remembers meeting a mortgage broker while he was in high school, working at Souplantation on Fletcher Pkwy in El Cajon, and saying to himself, “That’s what I want to be when I grow up”. On top of that, his father was an underwriter and credit manager for over 20 years… so it was a natural progression for him. Derek offers a unique approach to home financing: he believes in listening to you and educating you, so that you decide on the loan that best fits your own situation. He provides you with clear, honest, and understandable information so you can be assured you’re making the best decision. Ultimately, you choose the loan that you feel most comfortable with. Owning your home is one of the largest financial commitments that you will make during your lifetime and many people view that as meaning just another monthly payment. Derek can help you realize that your home is truly a valuable financial tool and can show you how to use the mortgage as a true financial instrument in your long term financial plan for debt reduction, decreasing interest expense and helping you to retire mortgage free. Derek advises his clients on the best way to manage mortgage debt, so they can become financially independent sooner rather than later. By better understanding and managing mortgage debt, you will be able to achieve a more stable financial future. Only with years of experience in the mortgage industry is it possible to understand the multitude of changing mortgage products available well enough to find the solution that is best tailored to your specific financial needs. C2 Financial is the top wholesale mortgage broker in the United States. At C2 Financial, we have access to the broadest selection of mortgage products at the most competitive WHOLESALE rates, including (but not limited to) Conventional, FHA, VA, Stated income, One day out of BK or Foreclosure, One day out of Short Sale, 12 Month Bank Statement program, SUPER JUMBO to $10M, Pledged Asset, Asset Depletion, Foreign Nationals, 10% DOWN NO MI to $1,500,000, HARP 2.0, One day off the Market – recently listed and condos in litigation. That’s because we have the ability to shop for loans from other lenders and banks, giving you access to far more programs than any normal bank could offer you. Please click on the Loan Programs section of this website to see all of the loan programs that Derek is able to offer. Remember as a MORTGAGE BROKER, we work for you, NOT the bank! Derek is truly passionate about his profession and the result is that nearly 100% of his business is by referral from satisfied clients, trusted financial advisors, CPA’s and the most experienced local realtors. In what little spare time he has, Derek loves to train for triathlons and half marathons, read, travel, spend time with his family and is actively involved in his church. Derek would love the chance to earn your business and his team looks forward to working with you in your real estate financing needs in the near future. Click here to read Testimonials about Derek.